Over the weekend, a former player came over to my place to pick me up for Sunday football. I had a World War II documentary on at the National Geographic Channel. This former player – in total innocence or just plain lack of tact – asked me if I had personal experiences of the war. If I was the criminal type, you would have heard of this former player’s wake on Facebook; and that I am now behind bars. Instead, I patiently pointed out that the last Great War ended 14 years BEFORE I was born. This still means that I have been on this Earth for more than half a century. In my lifetime, I have seen more things than a lot of people. In this article, I describe mundane household things that have changed drastically over the years, some even beyond my wildest imagination. The oldest recollection of a television that my family owned was an American-made Zenith as, indeed, when I was a small boy back in the sixties, anything Japanese-made was still regarded with suspicion quality wise. Hence, the expression ‘japok’ which is an amalgamation of the words ‘Japanese’ and ‘marupok.’ Of course, through the years and with the onset of Japanese hi-tech, the word subsequently became passé. But back to the Zenith, it was this box-like thingy that by today’s standards will look totally gruesome; and more like an oven than a television set. It had this large thing called the picture tube through which light could be channelled to create black-and-white pictures. Primitive, though, the contraption might have looked by today’s standards, it was through this television set that I watched Neil Armstrong take mankind’s first-ever step on the moon; Gloria Diaz become the first Filipina Ms. Universe; and Ferdinand Marcos’ declaration of Martial Law. Among others. When the Zenith conked out, it was replaced with another black-and-white cabinet-style TV, the one with a sliding cover made of wooden slats that you pulled together after you turned off the set. 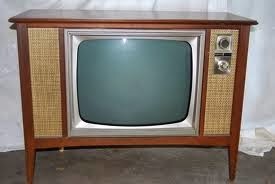 Our first coloured TV was, ironically, a 14” Japanese-made Sony. Flat-screened LCD and LED television sets? Not even in Science fiction at the time! I have a very blurred recollection of a really Jurassic telephone that we had at our home inside the Air Force base where we lived when I was a little boy. 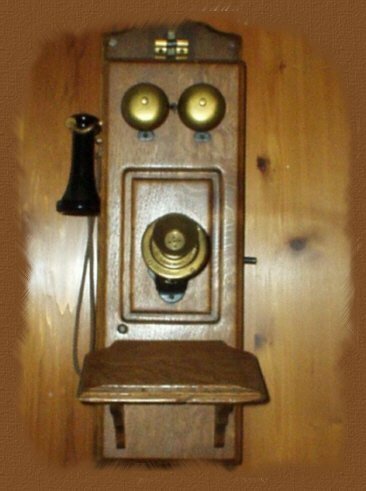 The main set hung on the wall, and to make a call one detached the receiver to hear what the caller was saying and spoke to the microphone attached to the set on the wall to reply. This was subsequently replaced by a black unit that one could place on a small table. This one looked similar to models still used in the present day; although when calling a number, one poked a finger through this rotating round dialler. To call outside of the base, one had to go through human operators who manually plugged the calls through and who must have been privy to all the sleazy affairs that servicemen carried on with their mistresses. 3292. I have forgotten so many things about the era, but for some reason I remember our home number at the base. “Col. Torrecampo’s residence!” That was the protocol that everyone inside the base followed when answering calls, so civil and polite. No pranksters; no heavy breathers. Cellular phones? I could not even conceive of telephones without wires! The first refrigerator that I can recall that we owned was an American-made General Electric which we used for years on end. When it finally conked out, Mom replaced it with a Westinghouse as, indeed, Mom would trust nothing but American brands. 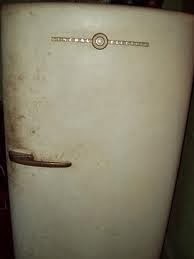 I personally do not think that refrigerators have changed much over the years, except for one thing. In the old days, a weekly defrosting was obligatory to get rid of the ice that invariably accumulated in the freezer. That was what brought the cold, the ice I mean; or, I used to think as a little boy. Therefore, for the longest time, I was of the mistaken impression that refrigerators and ice went together. As in, I was mocking him for the horseshit that he was feeding me just to make a sale. Of course, he was right all the time and yes, there is no ice in my Samsung even in the freezer section. How that is even possible mystifies me no end! If anyone had told me 30 years ago that I would one day be playing music from a pocket-sized telephone, I would have called that person stark-raving mad! We all loved to listen to music over the radio, but it was not until the late seventies when my sister bought this huge cabinet style music system with a turntable and an AM/FM radio. There were two large wooden speakers which doubled as side tables. To be fair, the sound was good; and I especially loved the way the bass made the walls reverberate. Of the household appliances, I think music players are among those that changed drastically over the years. The changes were always about getting smaller and portability; and the technologies involved overlapped with each other. That was why, in a typical music shop, vinyl records – which were played on the turntables – were sold with music cassettes and, once they became available, music compact discs or CD’s. I still have a fairly impressive collection of vinyl records and cassette tapes, as a matter of fact. 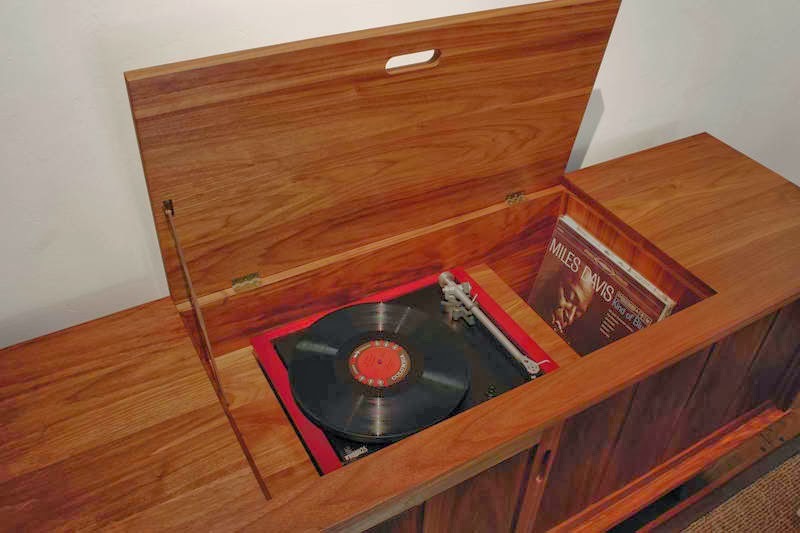 Thankfully, there are now phonographs that can connect to a computer to give a new lease on life to my old vinyl records. Regrettably, all my cassette tapes are so tightly stuck that they are useless. Not that it really matters because I play my music mostly from my computer. The evolution of the video players, as everyone knows, parallels that of the music player. In both cases, the evolution was largely influenced by digitalisation and file compression. These have made videos – even full length movies – viewable through one’s cellular phone in the present day. But who can ever forget the betamax and its bigger and sturdier cousin, the VHS player-recorder? I was in college when I first heard of this machine that had the ability to record what was being shown on television; and I was not sure that the person who told me about it was telling a big fat lie to impress me. Sure enough, in less than five years, people could actually rent movies from shops to watch these inside the comfort of their homes. As digitalisation evolved, soon movies were being recorded on these large round things called the laser discs. My word, but these laser discs and their players were such status symbols in their day; and a good thing I could not afford those because the technology was soon overrun by the cheaper and smaller VCD. In the present day, even the VCD has become passé because of its inability to hold larger files. So on to the DVD and the Blu-Ray – and their players – which are the current video standards. These days, while I own movie disc players, these are actually gathering dust. When I want to watch a movie, I simply plug my computer to the television set, to which I have also plugged a sound system. Had you asked me 30 years ago if this was even possible, I would have sent you to see your shrink. In the first place, 30 years ago, computers were these large sinister things that could not fit inside a household, let alone plug into a television set. You had to be stark-raving mad to ask me that question! 1. Turntable photograph from laboxcollective.wordpress.com. 2. Zenith TV photogrph from gkhild58.blogspot.com. 3. Betamax player from http://www.oobject.com. 4. GE refrigerator from http://www.treasurenet.com. 5. 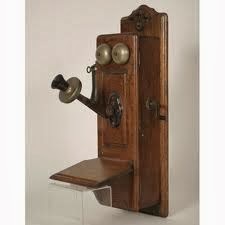 Antique wall telephone from http://www.antiquehelper.com.